CARTER B. TALLMAN, M.D., F.A.C.S. 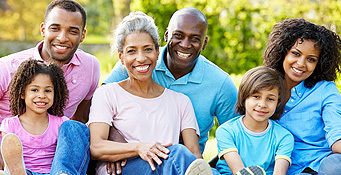 Several years ago patients only had the option of monofocal lens implants, which enabled vision at one distance only. Now these new implants can offer a wide spectrum of vision including near, intermediate and far vision. Premium lens implants have been helping people over the age of 40 and cataract aged patients since they became viable option. Could you possibly imagine being able to read the newspaper, drive at night or play golf without the use of glasses? What are the different types of premium lens implants? Multifocal Lens Implants: Multifocal IOL lens implants enable patients to see at near, far and intermediate distances after surgery. The 2 major brand names in this category are the The AcrySof® ReSTOR® IOL by Alcon and the Tecnis® by AMO. (Recently acquired by Abbott). With a multifocal IOL, the central portion of the lens has a series of steps that are carved in a very precise arrangement with varying step heights and distances between steps. Each of the steps of this diffractive optic bends the incoming light differently; creating a near focus that is quite separated from the distance focus formed by the remaining refractive portion of the lens. This large separation between the two images allows for less artifacts or distortion in either of the images, providing good quality of vision at both distance and near. The AcrySof IQ ReSTOR IOL is implanted during cataract surgery to replace the natural lens, which has become clouded by cataracts. This new lens can provide enhanced vision quality and full range of vision, giving patients an increased independence from reading glasses and bifocals. Our eyes are continuously focusing on object at different distances. Whether it be watching television, sitting at a computer or driving, our eyes automatically focus on different things at different distances quite quickly. By combining the strengths of apodized diffractive and refractive technologies, the Acrysof IQ ReStor IOL provides quality near, intermediate and distance vision and increased independence for reading glasses and bifocals. Accommodating IOL: Accommodating lens implants have garnered a significant amount of positive review and testimonials from thousands of early patient adopters. These special lenses are designed to mimic or accommodate, just like the eyes natural lens would. 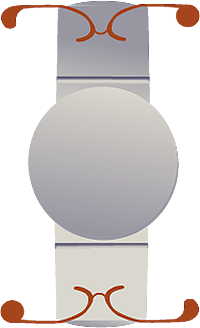 The hinge design of the lens enables it to move inside the eye just like the original natural lens. The end result is that patients can see better at multiple distances. 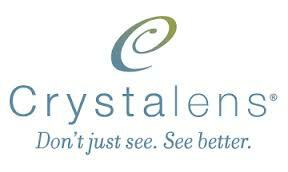 The only accommodating IOL available is known as the Crystalens® by Bausch & Lomb. Crystalens, is a cataract replacement lens that works naturally with your eyes’ muscles to give you the quality of vision you enjoyed when you were younger. The revolutionary design element that makes crystalens the state-of-the-art replacement lens are “hinges” which are designed to allow the lens to move, or accommodate to focus on objects near, far and all distances in-between seamlessly. Hear what our patients are saying about Tallman Eye Associates! Tallman Eye Associates strives for excellence in Ophthalmology and Laser Vision Correction. Because we offer procedures that cover so many aspects of eye care we thought you might be interested in hearing the experiences of our patients.